Planning a Boca Grande Tarpon fishing charter. Boca Grande is the best Tarpon Fishing in Florida so plan early. Given this fact I exclusively tarpon fish April-Sept. These months are highly sought after, and trips book up quick. I offer 6hr, 8hr, 10hr and 12hr tarpon fishing charters. Centrally located on Charlotte Harbor I have pickup locations in Boca Grande and on the Charlotte Harbor. 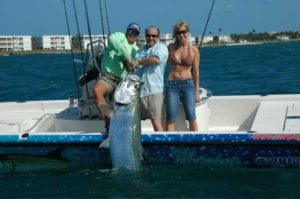 This insures your tarpon fishing charter gets deep into the best tarpon action with the least amount of boat travel as possible. I offer 6hr, 8hr, 10hr and 12hr tarpon fishing trips for up to 4 people. I also work with other local tarpon fishing guides and can arrange for multiple boats as well as large group trips. With over 18 years as a tarpon fishing guide, I know the local waters well. 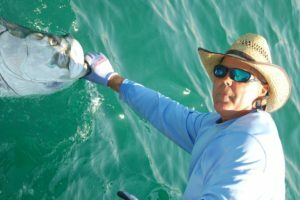 Not only will I guide you to where the tarpon are, I have the experience and skill set as a veteran tarpon fishing guide to offer you an unforgettable Boca Grande tarpon fishing experience. 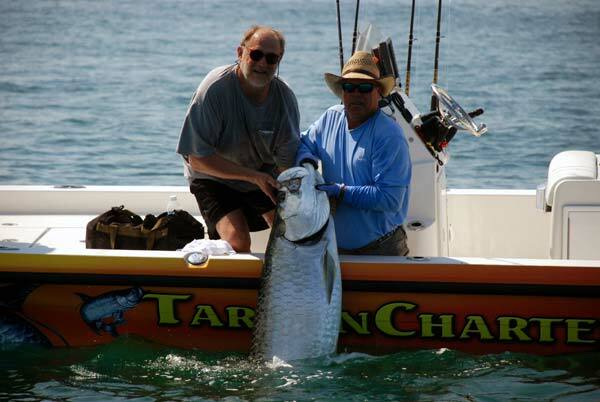 Starting in April and lasting through Sept tarpon congregate in Boca Grande in great numbers. The month of April is all about sight fishing with light spinning gear the flats and back-country of Fort Myers, Cape Coral and Charlotte Harbor. 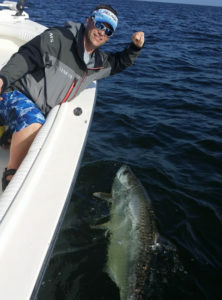 From About May-June Capt Andy can be found tarpon fishing near Boca Grande. Large numbers of tarpon show up yearly in a pre-spawn gathering in the natural deep water of Boca Grande Pass. These tarpon are here for one reason, to eat. 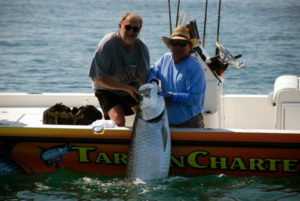 Go Fish Charters is a tarpon Guide service has guided tarpon clients for over 20 years with results you should expect. I offer world class light tackle sport fishing charters. I have dedicated a lifetime too Tarpon fishing Boca Grande with the last 20+ years spent as a Tarpon Fishing guide. I have had the pleasure of enjoying and living the Boca Grande tarpon fishing lifestyle to its fullest. My biggest pleasure has been helping other anglers achieve their quest to catch Big Tarpon. I am a generational Floridian and have lived and fished Boca Grande my entire life. I made a career out of chasing tarpon from Boca Grande, Fort Myers, Cape Coral, Punta Gorda, and the beautiful Charlotte Harbor. Go Fish Charters is equipped with the latest sonar and fish finding capabilities a high end tarpon fishing boat and premium tarpon tackle. 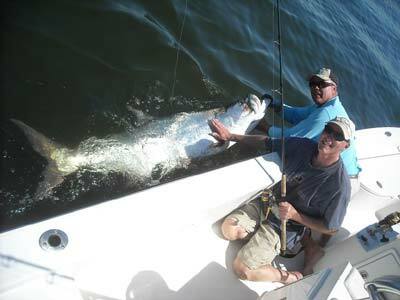 I offer quality tarpon fishing charters that will satisfy the most seasoned tarpon fishing clients. For those who have never experienced Boca Grande tarpon fishing season, I have the knowledge and expertise to take the most novice angler. 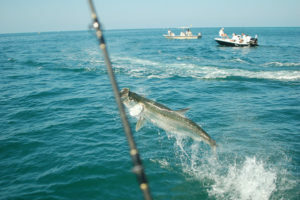 Boca Grande is the premier tarpon fishing destination in the world. Add that to the pristine waters of Charlotte Harbor to make Southwest Florida home to the best tarpon fishing any where period. 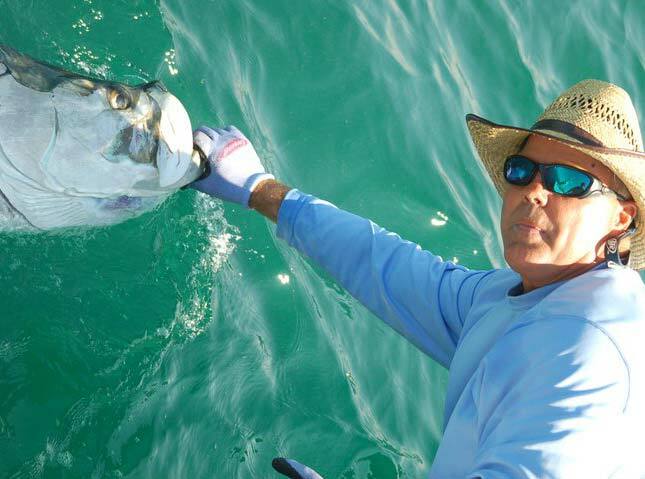 Tarpon are the silver kings of Boca Grande inland and nearshore waters. Ranging from 100 to 150 pounds, with plenty of 200 plus pound tarpon caught fishing in Boca Grande. They are hard fighters, and high jumpers and will create an adrenaline rush in even the most seasoned angler. Boca Grande is the acknowledged tarpon fishing capital of the world. There's no known place on this earth where Tarpon gather in such large numbers to feed. This has made Boca Grande Tarpon Fishing the best place to fish for tarpon in Florida for over a century. Tarpon can be found throughout the Charlotte Harbor and can taken in great numbers from April well into September. The Boca Grande tarpon fishing season is a well known phenomenon that continues to grow. With anglers coming from all over the globe to participate in the largest gathering of tarpon and Boca Grande tarpon fishing guides on the planet. I have been a guide since 1998, I make my living full time as a fishing guide 100%. You Book my 12hr tarpon charter and I back it up. I offer 6hr, 8hr, and 12hr tarpon fishing trips for up to 4 people. I also work with other local tarpon fishing guides and can arrange for multiple boats as well as large group trips. 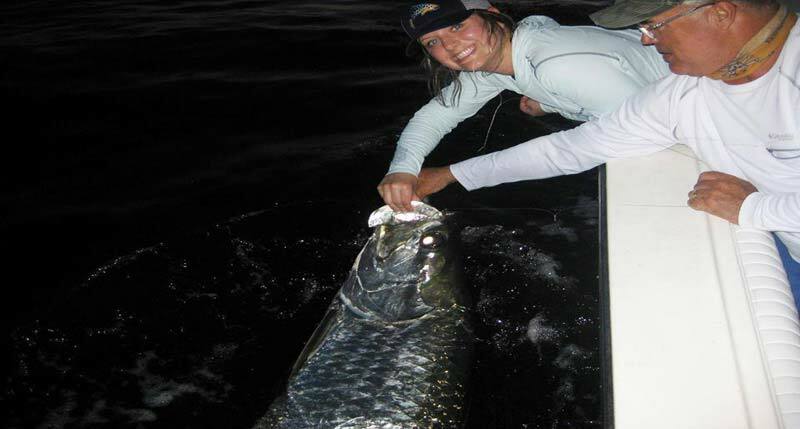 Some of the best Tarpon Fishing occurs during the new and full moon, with a few days prior to and a few days after. Locally known as Tarpon Fishing Hill Tides, these date while not only during prime tarpon season can be phenomenal. You can find the dates on my rates pages. Join Our Other Tarpon Clients In Achieving This Angling Milestone Of Catching And Releasing A 200lb Plus Tarpon. The average tarpon caught during the prime tarpon season is about 130-150lbs. I typically catch 3-5 200lb plus tarpon a week to the boat, with many more hooked and lost to a jump. Due to the fact that tarpon are no longer lifted from the water and with better release practices larger tarpon are becoming more common. Not only I am seeing more Monster Tarpon being caught on boat, I am seeing plenty of these fish caught from Fort Myers and Charlotte Harbor Tarpon fishing trips during the early part of the season.